Via selection, a criterion chooses the systems corresponding best to it. See Fig. on pg. Via orientation, the system directly gains information from the environment. Here we have to differentiate according to the quality of information reception/assimilation. The quality of the sensors is a significant influential factor in this case. See Fig. on pg. 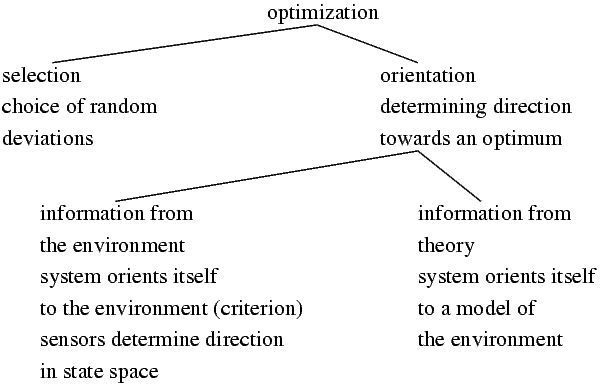 The higher level of orientation uses information condensed in a model. The system is able to extrapolate beyond known conditions.